It is an architecturally unique museum with the underground galleries constructed under the water garden on ground level where the tea room structure is built to resemble a floating isle. The whole design was produced by Raku Kichizaemon XV based on the concept of “shu-ha-ri, literally “obeying-breaking-leaving”, one of the most famous teachings expressed by Sen Rikyû on rules and manners - obey them to the limit (shu), break them (ha), even leave them (ri), but never forget their fundamentals (hon). 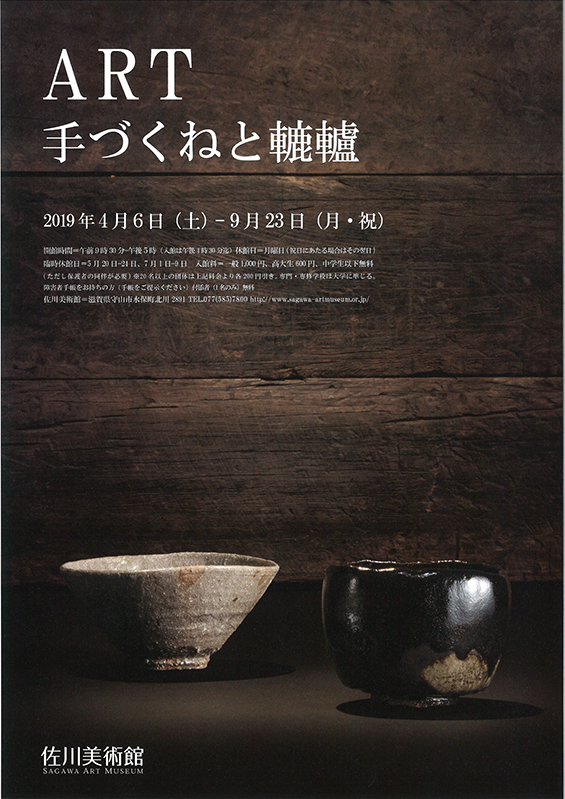 The collection consists of works produced by the current generation since the year 2000 including black Raku tea bowls, yakinuki type black tea bowls, tea caddies, fresh water jars, etc. Works by Raku Kichizaemon XV are continually updated. Raku wares stand alone among other ceramics because of their unique features in the making process: Tezukune, which is the Raku unique hand-moulding using the palm of both hands, a series of trimmings to model the shape and the indoor firing using a small saggar inside a kiln, which has been adopted since the very beginning when Raku Chōjirō (d. 1589), founding father of Raku wares, originated Raku tea bowl. The tradition has been carried through 450 years since Raku Chōjirō I to now by means of so-called Isshisōden, a transmission of secrets of an art from father to son. Each Raku generation, in pursuit of his own individualistic expression, has balanced tradition and innovation based on their learning of the fundamentals set by the founder. The current Raku head, Raku Kichizaemon XV, in particular, has been energetically challenging for unconventional avantgarde expressions experimented on tea bowl and tea caddy by making full use of a highly original Yakinuki firing method, thus opening up a new dimension in addition to the realm of traditional Raku black and red tea bowl. His first experience in throwing of Hagi tea bowl fascinated him so strongly that he continued his pursuit for throwing using various types of clay, some from Tamba or some found underneath the basis of the East Pagoda of the Yakushiji temple in Nara. A thrown tea bowl is distinguished by its flaring shape opening up from inside towards outside caused by a centrifugal force of the turning of potter’s wheel. Ido tea bowl is a typical of its kind, marking a sharp contrast with Raku tea bowl which is formed strictly by hand-moulding as if to enclose the shape from outside towards inside. This exhibition highlights two contrasting characteristics of hand-moulding and throwing by showcasing various tea bowls made in both techniques. For further information please consult the Sagawa Art Museum website.